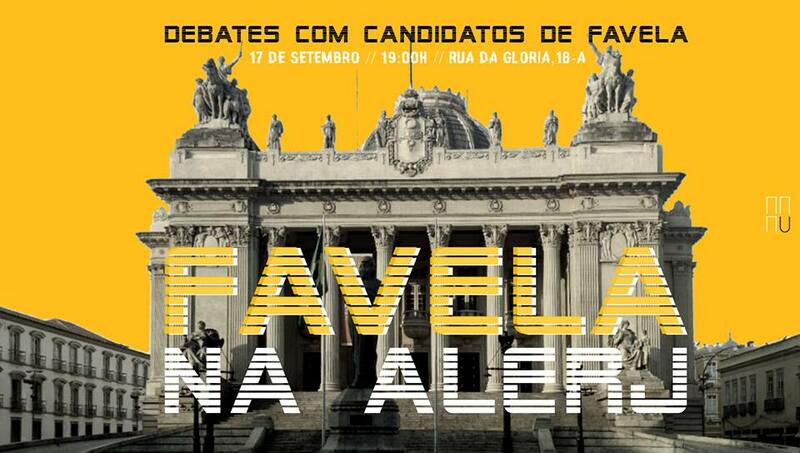 Peneira—a creative industry organization that works with artistic interventions in public spaces—is organizing a series of debates with candidates for the positions of federal and state representative as part of a mobilization by Rio as a Whole, a nonpartisan initiative to increase citizen participation in the electoral process. The debates are held in the Marielle Franco room of the Urban Studies House, a co-working and event studio for debating the production of urban space. The first two debates, part of the “Culture at Stake—Debates with Legislative Candidates” series, focused on cultural policies. These are often neglected in government proposals and programs, but they should be seen as essential not only for leisure purposes, but also for their potential to generate jobs and income, enhance public spaces, and promote safety. The ultimate symbol of disregard for culture in institutional politics was the National Museum fire—but this was not an isolated incident. Other examples include the lack of valorization and even attempts to criminalize favela culture, such as when City authorities increasingly bureaucratize the process for obtaining street event permits and affirm that there will not be culture in favelas. 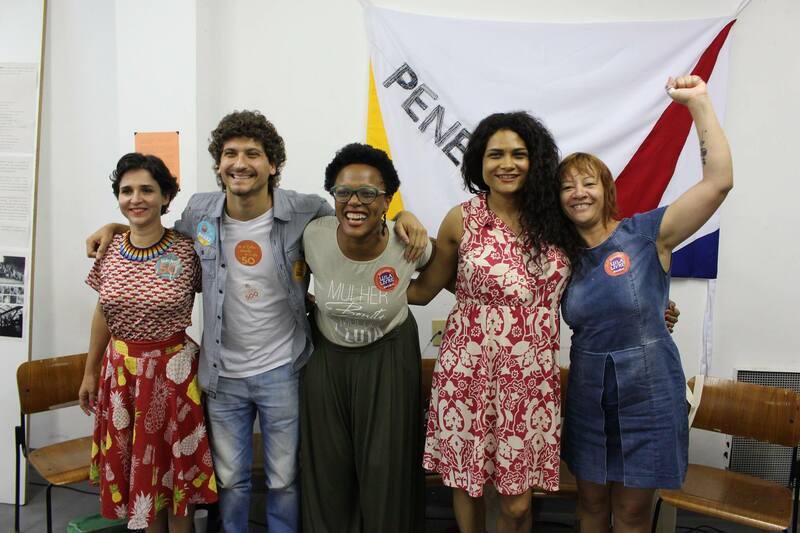 The first debate took place on August 23, with the presence of the following candidates running for state deputy: Dyonne Boy (Socialism and Liberty Party), Jaqueline Gomes de Jesus (Workers’ Party), Iara Roccha (Communist Party of Brazil), Tainá de Paula (Communist Party of Brazil), and William Siri (Socialism and Liberty Party). The second debate, on August 30, was attended by the following candidates running for federal congress: Reimont Otoni (Workers’ Party), Marcelo Calero (Popular Socialist Party), Mãe Flávia Pinto (Democratic Labor Party), and Anderson Quack (Socialism and Liberty Party). David Miranda (Socialism and Liberty Party) was also invited but was unable to attend. There is an interesting correlation between candidates who prioritize culture as an issue that needs to be debated and defended—and were therefore present at the debate—and the percentage of candidates among those in attendance who are from favelas. As pointed out in our previous article, Tainá de Paula (Favela do Loteamento), Mãe Flávia Pinto (Vila Vintém), Anderson Quack (City of God), and David Miranda (Jacarezinho) are all from favelas. The question of favelas, therefore, permeated the experiences and speeches of several candidates. 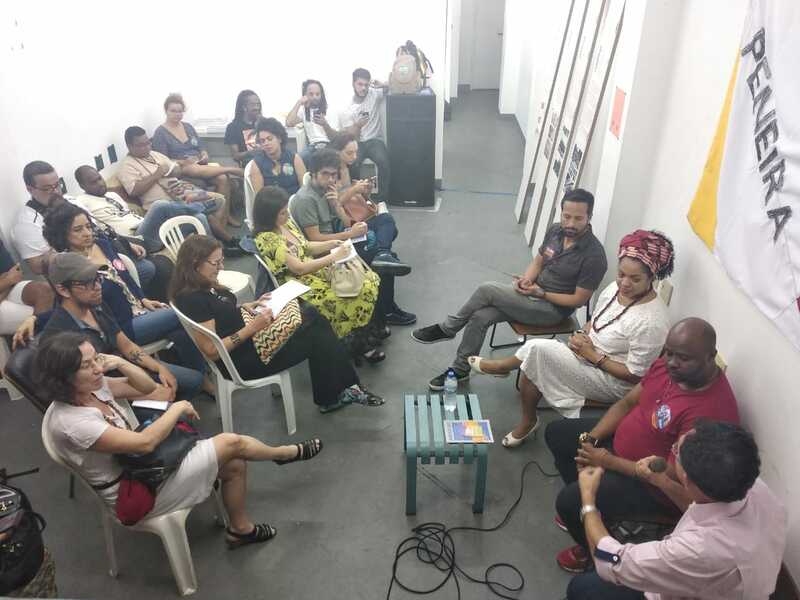 As such, a third debate—entitled “Favela in the Legislative Assembly of Rio de Janeiro“—was organized on September 17 (at the initiative of the Urban Studies House in partnership with Peneira) to hold a discussion specifically with candidates from favelas. 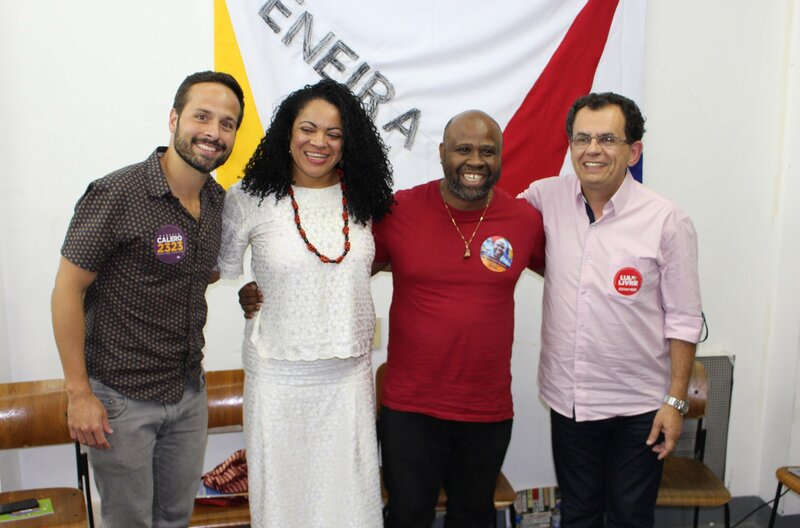 The following candidates participated in that third debate: Júlio Cesar (Workers’ Party) from City of God, Lourenço Cézar (Brazilian Socialist Party) from Complexo da Maré, Fernando Ermiro (Party of Brazilian Women) from Rocinha, and Dani Monteiro (Socialism and Liberty Party) from Complexo do São Carlos. Patrícia Honorato (Free Fatherland Party) from Cidade Alta had confirmed her participation but did not attend. “Afro-Brazilian, indigenous, favela, and peripheral cultures—these spaces, territories, and cultural producers are completely at the margin of the system,” said filmmaker Anderson Quack during the second debate. “It is necessary to value these cultural centers, territories, and producers. Promoting culture is aimed at show business. Calls for proposals that offer affirmative action [in the selection process] are embarrassing,” he completed, mentioning difficulties such as the lack of investment and highly bureaucratic accounting procedures. Dani Monteiro, in turn, echoed Quack’s point during the third debate: “Favela residents have difficulty responding to calls for proposals. The dances that generate employment and income in favelas are not considered cultural spaces—they are not encouraged.” She further recalled the need for event organizers in favelas to request permission from the Military Police to carry out these events. “The Military Police do not understand culture. The space is public… Samba, funk, and capoeira are not crimes.” In this sense, Reimont Otoni recalled his activism in City Hall on cultural affairs, having presided over the Standing Committee on Culture and authoring legislation such as the Gamarra Law, which instituted the Municipal Program to Incentivize, Safeguard, and Promote Rio’s Samba. “Samba circles in favelas are what sustain samba. Community funk dances are what sustain funk. And those who circulate in the city don’t consume this kind of culture, so they don’t know,” said Mãe Flavia Pinto on August 30. “How many times have we not consumed [culture] because we didn’t have money to leave the favela? Why can’t we go to Lapa? Why don’t we have money to circulate in the city? People need to have fun and make a little bit of money to survive. This is something that we need to protect—the right of favela residents to keep themselves on their feet. We have developed culture as a survival mechanism,” she added. In addition to the issue of culture, urban upgrading and land security issues heavily permeated the third debate. When asked about land regularization and titling, Ermiro said: “To solve the issue of eviction, we need to anchor people to the land. Titles don’t prevent evictions, but they do make them more difficult.” Ermiro further mentioned the necessity of mechanisms that come after titling to increase [tenure] security, citing the example of the Community Land Trust model. This article was written by Luisa Fenizola, and published on September 25, 2018.